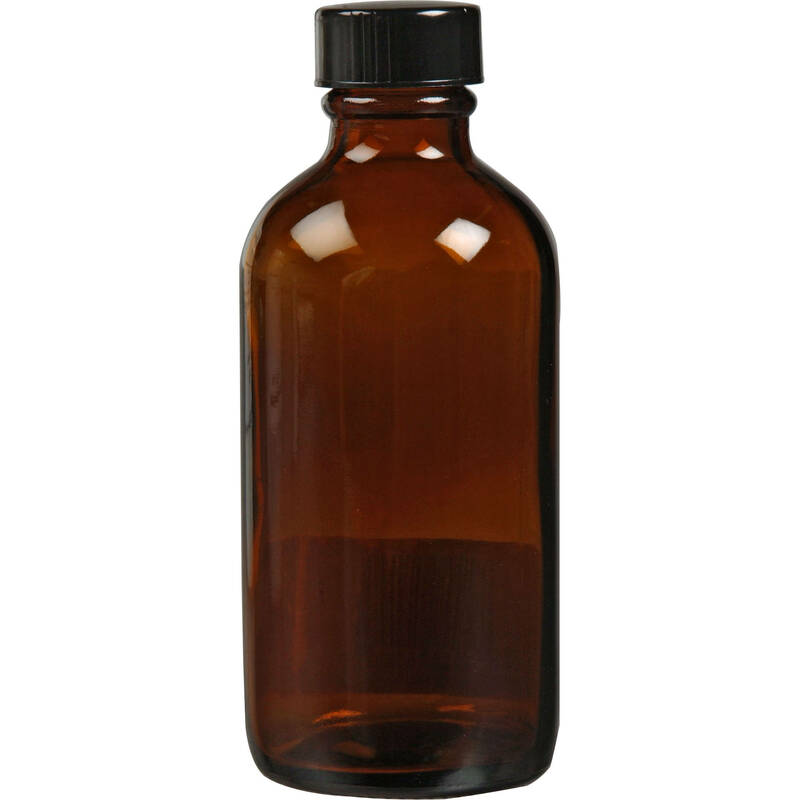 The Photographers Formulary Amber Glass Storage Bottle features a narrow mouth. This bottle is for storing chemicals, keeping them safe from oxidization and deterioration from light. Box Dimensions (LxWxH) 4.55 x 3.85 x 1.9"
Amber Glass Bottle with Narrow Mouth - 125ml is rated 5.0 out of 5 by 6. Rated 5 out of 5 by Anonymous from Nice bottles, excellent caps. I actually bought these amber glass bottles as a convenient container in which to store and give away my homemade vanilla extract. I was quite surprised by the apparent quality of the caps. These bottles come with extremely nice plastic caps that have cone shaped clear silicone rubber gaskets. Nothing is going to spill from one of these! Rated 5 out of 5 by PAUL C M. from Keeps Chemicals From Oxidizing I use these bottles to decant liquid developers like HC110 and Rodinal into smaller containers, so they don't oxidize as quickly. They work -- there's not much more to say about low-tech items like glass bottles. Rated 5 out of 5 by Andras Denes L. from Good storage for developer I bought two of these bottles for the A and B solutions of my film developer. It does the job. Its mouth is narrow, however, it is still large enough to let me put the 5ml plastic injector into the bottle. Rated 5 out of 5 by Nesster from solid little bottles These bottles are made of thick glass, and the caps are well made and secure. This is a good solution to hold concentrated chemicals, e.g. developer, for longer life. Rated 5 out of 5 by John from Perfect for Film Developer Storage These bottles are perfect for HC-110 & Rodinal concentrate storage over a long period of time! Easy to extract the concentrate from the bottle with an oral syringe. Rated 5 out of 5 by Tatiana from Great bottles for chemical mixes I love these affordable priced amber bottles for storing my cyanotype and vandyke process chemical mixes. They are sturdy and well crafted.